Does cleaning your house in Wellington create more stress than it should? Use our online calculator to estimate the cost to clean your home. Do you no longer have the patience to work long hours and clean on the weekends? Are there more precious things to spend your time in Wellington on than house cleaning? There are many reasons why people in Wellington are looking for a reliable – honest and trustworthy solution to their home cleaning needs. Our job at Select Home Cleaning Wellington is to provide you with a solution to this problem and by doing so remove the stress you may be experiencing from your home cleaning. Our Wellington home cleaners have all been thoroughly security checked	to guarantee your peace of mind. Our team is professionally trained to effectively and hygienically clean your house - not just wipe around. Your cleaning will be managed by the same people each time. They will be able to cater to the small things you want done. Select home cleaning also does ironing and carpet cleaning. Select has full service coverage in your area and is affordable, professional and reliable. No longer do you have to worry about keeping up with both your work and house cleaning. Just take a minute to fill in the form below so we can make contact to talk through how affordable our service will be for you. We can also look after your ironing needs and clean your carpets. One of the biggest hurdles to overcome when deciding to hire a Wellington cleaner is the issue of security. Through our careful selection process we are able to eliminate any concerns you may have regarding both the safety of your possessions and the respect of your privacy. The SelectCleaning people who enter your home have all been through an intensive selection process to ensure they are both honest and reliable. Our cleaners have all been thoroughly security checked to further guarantee your peace of mind. SelectCleaning is an honest reliable company, with honest reliable people. Cleaning hygiene is as important to us as it is to you. Fresh cleaning cloths are used in every home we clean. Plus our cleaners follow specific procedures to ensure that the highest levels of hygiene are achieved while cleaning your home. We will explain more on these processes during our first meeting. We aim to please by exceeding your expectations in every way. 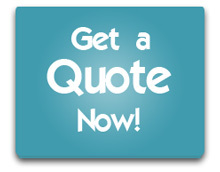 At SelectCleaning we monitor the quality of our service to you on a regular basis. This enables us to provide you with the very best result possible – your home beautifully cleaned, and just the way you like it. We provide a communication book so you can record any specific instructions or issues for us to be aware of when we carry out your home cleaning at your home in Wellington. We call you from to time to ensure your satisfaction with our service. We carry out regular performance checks to ensure our cleaners are meeting the required standards. We ensure any minor issues are identified and resolved before they become a problem. With our excellent cleaning services in Wellington combined with our rigorous selection process, we can ensure that the SelectCleaning people are the best. Our cleaners are also owner operators, with a real vested interest in keeping you, their customer, happy. SelectCleaning people are professional, intensively trained owner-operators who take real pride in their work. Your SelectCleaning cleaner will take better care of your home than you can. We recognize the negative impact of solvents and petrochemicals on the environment, and the need to help reduce the contamination of our rivers, streams and oceans. SelectCleaning does not pretend to be the perfect environmental example, but we have reviewed our own procedures and use the most appropriate products available. Copyright © 2015 SelectCleaning Wellington. All rights reserved.